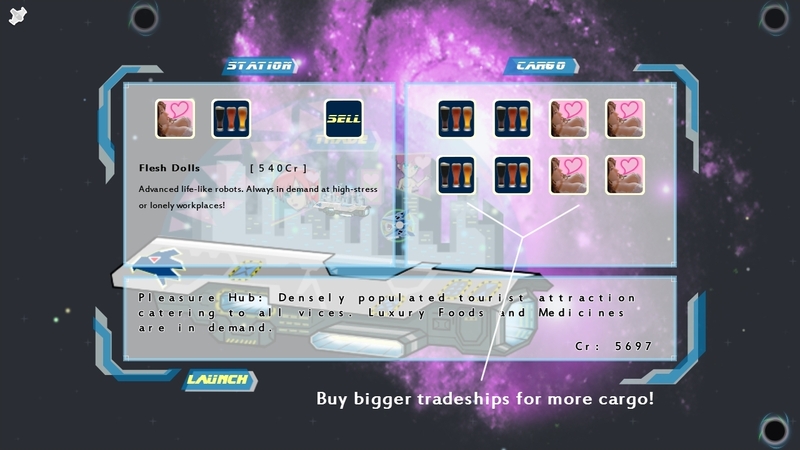 Been busy working on the UI, with good success for a drag and drop inventory system, dynamic pricing of goods (buying a tradegood will raise its price, selling lowers it) and station specific prices. Trying to keep it minimalist and simple to use for mobiles. 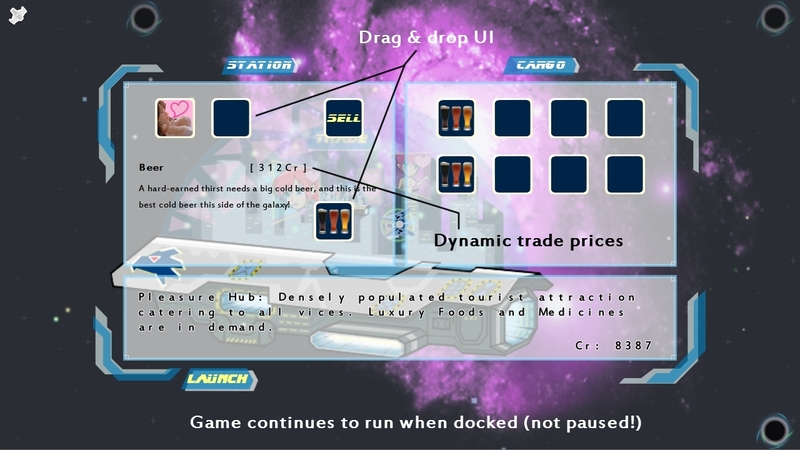 Approach a Station and come to a full stop, then touch the Trade icon to initiate Dock/Trade. Note that the gameplay continues while you are docked, so becareful if there’s nasty pirates chasing you! Pleasure Hubs specialize in producing entertainment products and beverages, the most popular of products are Flesh Dolls and Beer. Cargo space is limited in starting ships, especially Fighters which are cramped enough for a pilot. For the trading enthusiasts, there is a special Trade Corvette available for purchase that has strong shields and a big Cargo compartment, perfect for hauling through dangerous areas! The most lucrative tradegoods are those that pose the most risk to acquire and haul. 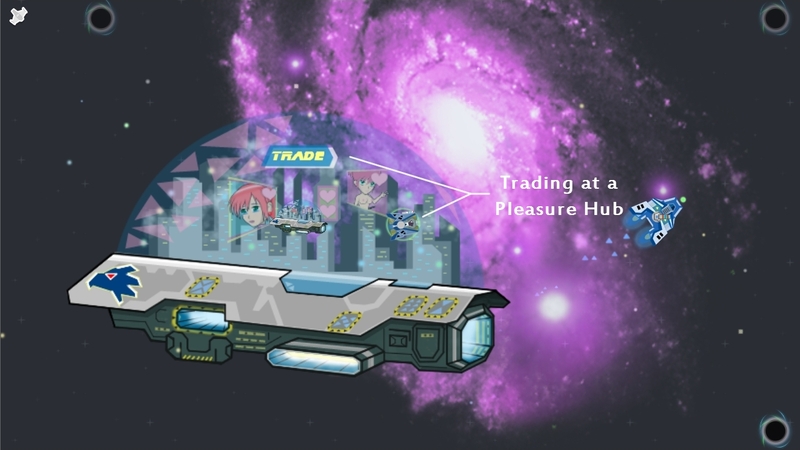 Pirate bases specialize in highly trained Exotic Dancers and Contrabands, the latter is in high demand everywhere in the sector! But to get to a Pirate base, either blast your way through the Pirate patrols or be a pirate yourself and gain their trust! Ship purchase and module equip occur at Shipdocks, which are scattered around the sector. 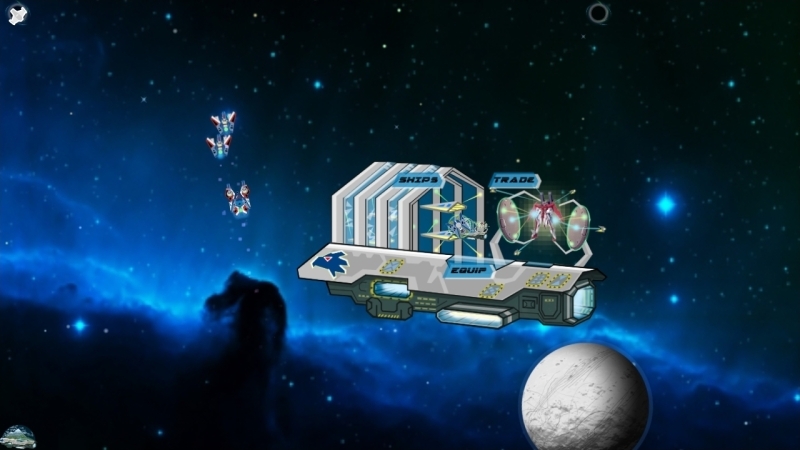 Orbiting drones with their own AI and turret. 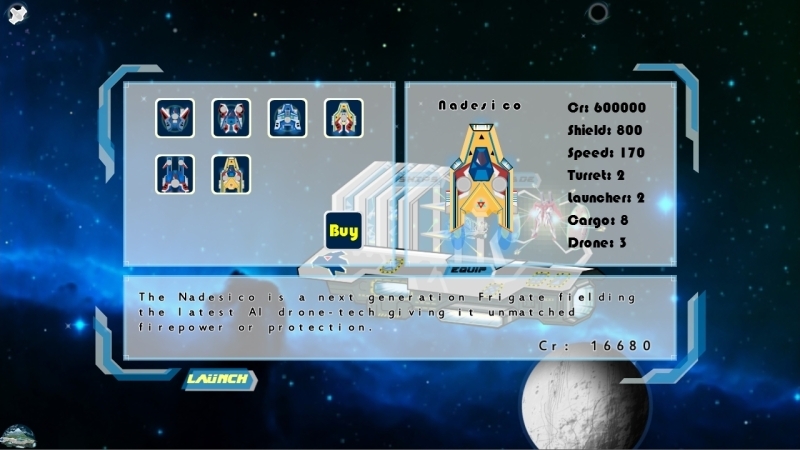 ← Star Nomad, Sandbox RTS inspired by Privateer/Elite/Escape Velocity coming along nicely!